In the years gone by, a special few have had the privilege of taking their place as manager of Rangers Football Club. 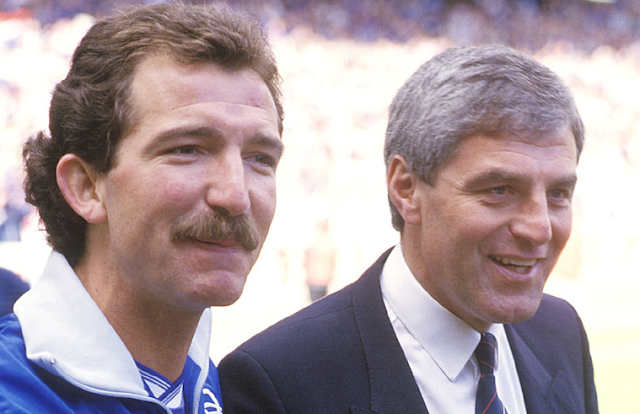 At the tail-end of the 1990-91 season, Graeme Souness was lured back to Liverpool, and so began the era of one of the most iconic and important managers in the history of Rangers Football Club, Walter Smith. After five years of serving as assistant to Souness, and described by players as having a huge hand in the “Souness Revolution,” Smith finally took the step up with four games to go in the 90-91 season. With much success in previous years, the standards were set high, but as fans came to recognise Smith knew how to raise the bar to his own level. His first full season would see him place his territory on Scottish football, which no one could touch in years to come. Smith started off his reign in a fashion that he would become renowned for. When given money to spend it was more often than not spent wisely. The most iconic transfer of the season saw the capture of Andy Goram from Hibernian for £1 million. “The Goalie” would become one of the noted figures during Smith’s reign, and his presence was one to be feared. On top of that, Smith brought in Stuart McCall, Alexei Mikhailichenko and David Robertson – names all synonymous with one of the most trophy-laden periods in the history of Rangers. On day one of the 1991-1992 season, expectations were met, as Rangers steam-rolled St Johnstone 6-0 — a result rounded off with a trademark header from Mark Hateley. Rangers started the season brightly, with the only blight on the record coming at the hands of a 1-0 defeat away to Hearts. However, this would not take the shine off Walter Smith’s first Old Firm fixture as Rangers manager that soon followed. As Smith took his men to Parkhead to do battle with Celtic they came back with another satisfying three points after two fine finishes from Hateley, and laid down Rangers’ intent to take the title home again in a convincing manner. As the league campaign carried on, with a challenge being posed by seemingly genuine contenders in Hearts and Aberdeen (the latter claiming a 2-0 victory at Ibrox on 28 September), there wasn’t as much success in the Skol Cup. The ‘Gers failed to win their first possible silverware under Smith after exiting the cup at the semi-final stage to Hibernian. In a similar fashion Rangers tumbled out of the European Cup at the first time of asking when a 2-1 victory at Ibrox over Sparta Prague wasn’t enough. Although European football left Ibrox again for the season the competitive edge simply sharpened for Rangers. Four consecutive wins followed, with goal-machine Ally McCoist scoring in all and racking up seven in total, an excellent free-kick against Hibernian being the highlight. As November began, it was time to welcome Celtic to Govan for the first time of the season and it ended all square as McCoist’s header was cancelled out as Nigel Spackman’s horror back pass gifted Celtic the equaliser. A month later, and Rangers still trailed Hearts by three points despite some convincing victories. The always tough trip to Pittodrie, however, gave the whole team a boost, as goals from McCoist and Hateley gave the Light Blues a 3-2 victory. This was to be the second win in what turned out to be the pivotal unbeaten run of the season which would span until March. In amongst the many wins was another special one at Parkhead in the New Year Derby, with a fine John Brown strike rounding off a 3-1 victory. By the end of January, Rangers had finally taken the mantle of league leaders for the first time since the opening day of the season. Having leaped over Hearts, Rangers furthered their lead at the top with a 1-0 victory at Tynecastle thanks to a blistering volley from Ally McCoist. Rangers marched into a seven point lead over the rest of the league, and it was a gap that would differ little as the season progressed. The one blotch on the record came as Rangers suffered their first Old Firm defeat under Walter Smith, going down 2-0 at Ibrox. With six league games still to play Rangers broke the goalscoring record for one season – there looked like only one outcome for this season as the Ibrox men continued to march towards the title. On 18 April, the league was finally sewn up as Rangers eased to a comfortable 4-0 victory over St Mirren. ‘Four in a row’ was complete, and Walter Smith had ushered in his era in a convincing fashion. The season was still to be topped off by a Scottish Cup victory, a 2-1 victory over Airdrieonians sealing the Double. This formidable team was once more proving itself to be the dominant force in Scottish football – who could have known this was only the start for Walter Smith? Sir Walter's win record v Celtic is second only to Bill Struth. 27 wins from 50 matches with only 12 defeats saw him overtake Scot Symon & Jock Stein. Bill Struth leads the way with 35 Old Firm victories.